While every flow meter requires regular maintenance to keep them operating properly, maintenance for battery powered flow meters require some slightly different steps as well as a series associated with standard best practices. To ensure your maintenance process for battery powered flow meters is thorough, here are some common areas that require regular attention. One of the benefits of battery powered flow meters is that they are self-contained systems with power supplied from a source outside of the rest of the system. In cases where power is lost in other areas of the facility, the flow meters source of electricity is unaffected. However, batteries do not last forever, either requiring regular charging or replacement. This makes monitoring the remaining power and changing or charging the battery as needed critical. Typically, the batteries are easily accessed, as these flow meters are often installed externally on the pipe being monitored. Each battery operated flow meter will have standard procedures for gaining access to the batteries, so it is important to review any provided documentation. For portable flow meters with disposable batteries, such as those used in agriculture for monitoring irrigation, this maintenance phase may be as simple as opening the device and changing out a 9-volt battery. Others may be somewhat more complex or can require a different battery type to provide enough power for the device. Rechargeable flow meter batteries are often removed similarly to disposable versions, but may not come in standard battery sizes to which most consumers are accustomed. In these cases, the batteries will have standard charging procedures outlined in accompanying documentation that comes with the flow meter. If the ability for essentially continuous operations is needed, it is often wise to have multiple batteries designed to work with the flow meter. Then the maintenance for a battery powered flow meter of this nature is as simple as those using disposable batteries. Some flow meters use batteries as a backup source of power in the event the primary power source is unavailable. In cases such as these, maintenance procedures will also include a regular examination of any power connections and the standard electrical components along with frequent battery tests. 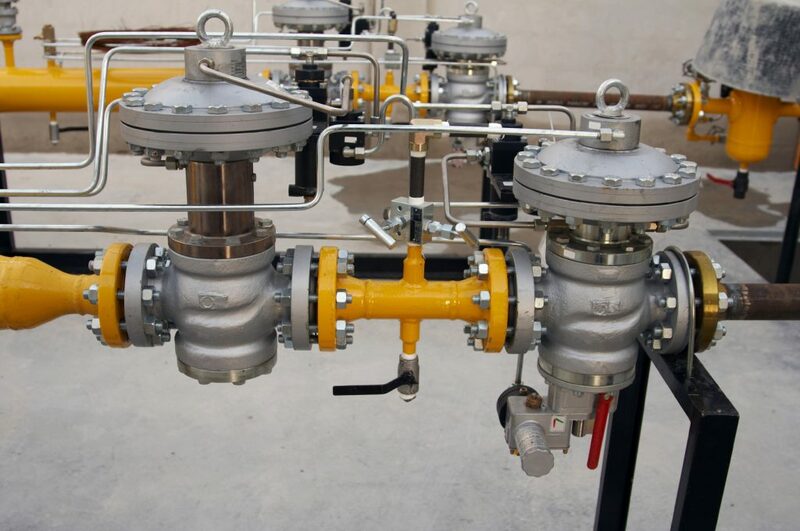 This combination approach can be ideal in situations where the flow meter is going to remain in a single location and traditionally has a reliable power source but, in the event of an outage, poses a significant risk if the flow meter is even temporarily inoperable. In this regard, the maintenance for battery powered flow meters with another power source involved is more time-consuming. However, it does ensure proper operation in the vast majority of circumstances, making its procedures critical. In cases where the batteries are removed and replaced, it is important to dispose of the used batteries properly. Most batteries, including lithium-based variants, shouldn’t be simply thrown away with regular garbage. Instead, they need to be properly packaged and brought to a facility designed to manage the task. Lithium-ion batteries can be recycled, and most cities or municipalities have locations that accept batteries for recycling. That way they won’t pose an unnecessary threat to people or the environment once they are no longer of any use to you. All flow meters, regardless of their power source, must regularly be calibrated to ensure accuracy. Specific calculations and standards are involved in the calibration process to guarantee readings meet the needs of the business or industry. The process of calibrating a flow meter involves a series of small adjustments made to the flow meter itself, with a frequent comparison to a known standard to monitor progress. Regardless of the flow meter’s use, or the quality of its production, all eventually have issues with accuracy due to use, a process known as falling out of calibration. To bring it back into proper working order, it is important to use a traceable standard based on recognized national standards. This ensures the flow meter will operate within an acceptable range once the process is complete. Typically, calibration procedures associated with maintenance for battery powered flow meters are based on the unit under test set to a level of accuracy that is four times more accurate than required. During the calibration procedure, the rate of flow must remain in a steady. Otherwise, the variances will make the process more challenging and can lead to poor outcomes. Additionally, performing simultaneous measurements with the flow meter being used as a reference point to the standard is often ideal. This guarantees outside variables, like temperature shifts that can occur throughout the course of the day, have little to no impact on the viscosity of the fluid, ultimately affecting the rate of flow of the fluid involved. For similar reasons, mimicking standard operating conditions can ensure the calibration is successful. This approach limits the impact of ambient temperature and humidity for a more reliable result. Calibration should be completed based on the manufacturer’s recommended schedule or at any point where an inaccurate reading is suspected. Otherwise, it is possible faulty readings can lead to improper flow through a system or improper dispensing of a product. Can Anyone Perform Maintenance for Battery Powered Flow meters? Flow meter maintenance should only be performed by someone with the required knowledge and experience to manage the duties properly. Typically, large industrial operations have someone available who is well-versed in the steps required and can complete the tasks with relative ease. However, there are also professional companies who focus on the support and maintenance for battery powered flow meters and their traditional counterparts. Since most battery powered flow meters are external devices, maintenance procedures are less complex than those that are installed within the pipe. This can make it easier for someone with moderate experience levels to perform the work. Similarly, portable flow meters are highly accessible, making tasks related to battery replacement reasonable for most operators to complete on their own. In general, if you feel uncomfortable with the procedures, it is best to seek professional assistance than to risk harm to yourself or the equipment.